The NDIS (National Disability Insurance Scheme) is a national support program that provides targeted support and better coordination and access to services for people with disability. This national approach means regardless of what kind of disability you have or where you live, you will have equal access to support and services that will help you reach your individual goals. At Sure Safe, our goal is to provide high-quality personal alarms to everyone, regardless of their health condition or disability, and the NDIS helps us do this. Our products fall under the NDIS’s Assistive Technology or Consumables funding, allowing you to get additional support no matter what disability you have. If your goals involve INDEPENDENCE, SAFETY OR SOCIAL INCLUSION, then our alarms will help you achieve those goals. And with the NDIS, getting reliable personal alarm devices is now easier than ever. Call our friendly staff on 1300 739 991 to find out how we can help. If you are a support coordinator or support provider, please send us an email or give us a call. We can provide more information on how our alarms can help your participants reach their individual goals. Place of residence – Keep in mind that some regions in Australia have not had the NDIS introduced yet. Make sure you live in a location where the NDIS is rolled out. Age – You must be less than 65 years old to be eligible. Type of disability – Your disability, condition, or impairment is likely permanent or substantially affects your ability to participate in daily, social, and economic activities. Early intervention requirements (if applicable) – You have a disability, impairment, or condition that is likely permanent, or you are a child less than 6 years old with developmental delay. For more details and information on the eligibility requirements for the NDIS, please check here. Many of our SureSafe products are categorised under the NDIS’s Assistive Technology funding, which can make your personal alarm device or system more affordable. The NDIS follows the World Health Orgnization’s (WHO) definition of Assistive Technology, which is any device or technology ‘whose primary purpose is to maintain or improve an individual’s functioning and independence to facilitate participation and to enhance overall well-being’. SureSafe personal alarms and systems fall under this WHO definition, allowing you to get appropriate NDIS funding for your chosen SureSafe product if you’re eligible to receive support. By providing reliable monitoring and emergency response activation, our SureSafe products will empower you or your loved one to live an independent life more safely and securely. Aside from making your SureSafe personal alarm device more affordable, the NDIS can also make the whole process of purchasing our products quicker. In most cases, we can use our NDIS portal to streamline your ordering process, getting the support in place as soon as possible. 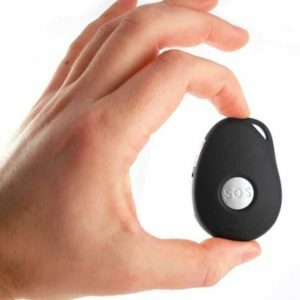 This makes it easier and quicker to get the personal alarm device or system you need to improve your personal security. Need Help Using the NDIS for Your Personal Alarm Device? If you have any questions about using the NDIS to support your SureSafe personal alarm device or system, don’t hesitate to contact us. We’ll be happy to provide the information and assistance you need.